My friend from work gave me 2 huge yellow zucchini(s) a few weeks ago. She said they were only good for bread since they were so big. Over the weekend I made 4 loaves out of the first zucchini. 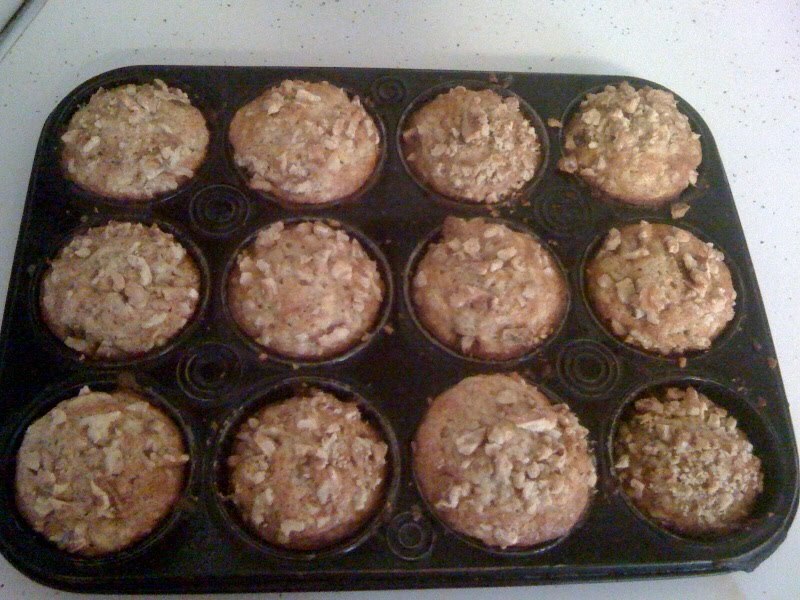 Yesterday I was looking for a recipe that used Bisquick for some zucchini muffins and I found this one. Instead of following the directions I just threw it all in the bowl and stirred it up. 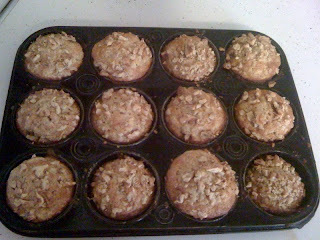 When I was putting it in the muffin pans I remembered that I forgot to put in the walnuts. So I just put them on top and pushed them in a tiny bit. The results? OMG they were so good! I had 2 when they were done and it's a good thing I got them then because this morning? A good friend of ours just gave Walt three green zucchinis last night...I am definitely trying this recipe tonight!!!! OOOOO they do look yum! I will be making those!! I have SO MUCH zucchini!